Mawdsleys are delighted to have recently completed a motor repair tender for a large port in Falmouth involving the repair of 9 motors, fans, pumps, compressor motors and associated equipment. 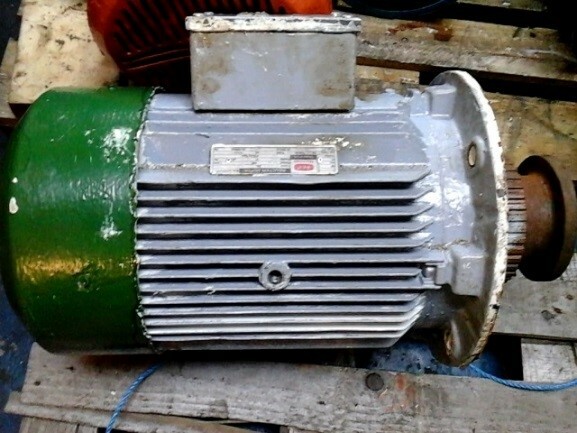 These types of motor repair tenders require fast and competitive quotes with an even faster turnaround. Find out more about the equipment and procedures we have in place to ensure these tender jobs can be completed on time and to the relevant standards. When a ship’s motor, fans or pumps are in need of a repair, the ship’s operator will contact ports around the UK to ask for quotes. Ports will then put the tenders out for companies like us to quote on, the ship will then dock at the port which wins the tender. Price, quality, speed and experience are all driving factors in the acquisition of these tenders. In this instance, the port had allocated 7 days for the motors to be collected, repaired and delivered back. Our fully equipped in-house workshop allows us to quote competitively, as well as guaranteeing turnaround within the 7-day deadline. We coordinate the transport to and from the port, repair the units, and deliver back to the port along with relevant supporting documentation and certificates of compliance detailing the work carried out. We have a vast experience carrying out motor overhaul work for the marine industry, including working on the new Type-26 Frigate. During these jobs, it’s important to liaise closely with the ship’s manager throughout to ensure work is completed in a timely manner. Mawdsleys are fully equipped to serve these types of tenders and other motor and pump repair services for the marine industry. If you require our expert services to ensure your mechanical and electrical work is done on time and to a high standard – give one of our expert team a call on 0117 955 2481 or fill out a contact form and we’ll get back to you.